Back in 2015, The Walt Disney Company announced an expansion to bring new Star Wars™-themed lands to both Disneyland® Park in Anaheim and Disney’s Hollywood Studios® in Orlando. While preparations and construction for those lands are in progress (no opening dates have been announced), some new Star Wars™-themed fun has already started in the parks – and there’s more to come at the Walt Disney World® Resort! Star Tours® – The Adventures Continue attraction at Disney’s Hollywood Studios® now includes adventures with locations and characters from the popular Star Wars™: The Force Awakens. Soon, the attraction will once again be randomized to both start and end at different locations for every galactic journey. Also, new scenes from Star Wars™: Episode VIII will be added to within the coming year. A current favorite of young Padawans, Jedi Training Academy was recently reimagined. Now called Jedi Training: Trials of the Temple, trainees face Darth Vader and the Seventh Sister – a new villain from Disney XD’s Star Wars Rebels. 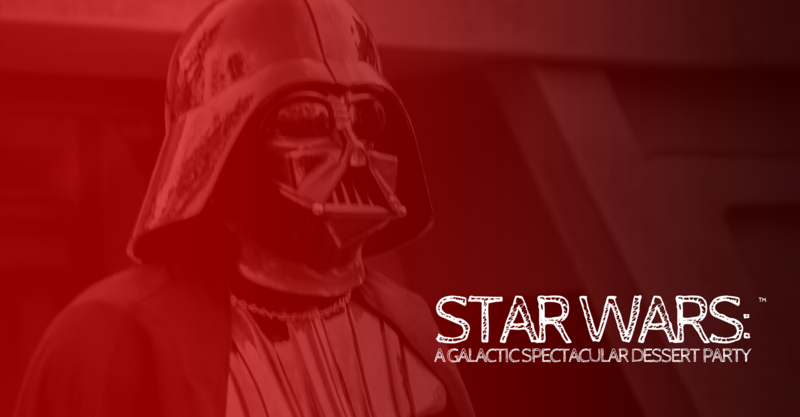 This live stage show at Disney’s Hollywood Studios® celebrates iconic moments from the Star Wars™ saga with live vignettes featuring popular Star Wars™ characters, such as Kylo Ren, Chewbacca, Darth Vader and Darth Maul. Starting Dec. 16, AWR Troopers from Rogue One: A Star Wars™ Story will join the show. The show takes place multiple times each day at the Center Stage area near The Great Movie Ride®. Happening several times daily, the First Order’s strength is on display as Captain Phasma leads a squad of First Order stormtroopers from Star Wars™ Launch Bay to the Center Stage area at Disney’s Hollywood Studios®. On Dec. 16, 2016, the current Star Wars™: A Galactic Spectacular fireworks show will return to Disney’s Hollywood Studios®. Star Wars™: A Galactic Spectacular lights up the sky with Star Wars™-themed fireworks, lasers, light projections and other special effects combined with music and iconic characters and scenes from throughout the saga. From Dec.16-31, it will join Jingle Bell, Jingle BAM! as a second nightly fireworks spectacular. In 2017, the show will be presented at a schedule that has yet to be announced. Returns on Dec. 31, 2016 for New Year’s Eve and will reopen in 2017. CLICK HERE for more details on the party. Note: Because of construction of the new Star Wars™-themed lands in Disney’s Hollywood Studios®, Star Wars™ Weekends will not be offered. Looking for a sweet way to enjoy the Star Wars: A Galactic Spectacular fireworks show during your upcoming visit to Disney’s Hollywood Studios®? We’ve found just what you’re looking for! Star Wars: A Galactic Spectacular Dessert Party runs Dec. 31, 2016 and on select nights in 2017 (which will be available for booking soon). Pricing is $69-79/adult ages 10+ and $39-45 for children ages 3 to 9 (tax and gratuity included). Contact your Magic Maker® to check availability or for additional questions. Disney’s Hollywood Studios® admission is also required and is not included in the price of the Star Wars: A Galactic Spectacular Dessert Party. Seating is not available. Wheelchairs and ECVs can be accommodated. Guests must be 21 years of age or older to consume alcoholic beverages. A valid form of government identification will be required to verify your age. Disney dining plan entitlements may not be redeemed for this event. Discounts or promotions are not valid for this event. Entertainment is subject to change or cancellation without notice. Our guests sailing on a Disney Cruise Line Star Wars™ Day at Sea sailing now have the opportunity to pre-purchase themed merchandise. Because of anticipated demand for some “out-of-this-universe” Star Wars™ items, Disney Cruise Line has created an online advance purchase opportunity. Guests sailing during these special Disney Cruise Line itineraries aboard the Disney Fantasy can now log in and select items of interest. CLICK HERE to access the merchandise webpage. Contact your Magic Maker® for additional information! The Walt Disney Company announced that a galaxy far, far away would be coming to a Disney Park near you! In what is being called Disney’s largest single themed land expansion in history, these new Star Wars™-themed lands will bring 14 acres of fun to both Disneyland® Park in Anaheim and Disney’s Hollywood Studios® in Orlando. Plans call for the land to transport guests to a never-before-seen-planet feature two signature attractions. Inside the land, every store and restaurant will be run by the “locals” of the planet! No date has been announced for the launch of these new Star Wars™-themed lands. But in the meantime, new Star Wars™ fun is on the way! Stars Tours® – The Adventures Continue – Later in 2015, Star Tours® – The Adventures Continue attractions in both Disneyland® Park and Disney’s Hollywood Studios® will include a new adventure with locations and characters from the upcoming Star Wars™: The Force Awakens. Star Wars™ Launch Bay – Also coming in 2015, this new interactive experience will take guests on both coasts into the upcoming film, Star Wars™: The Force Awakens. 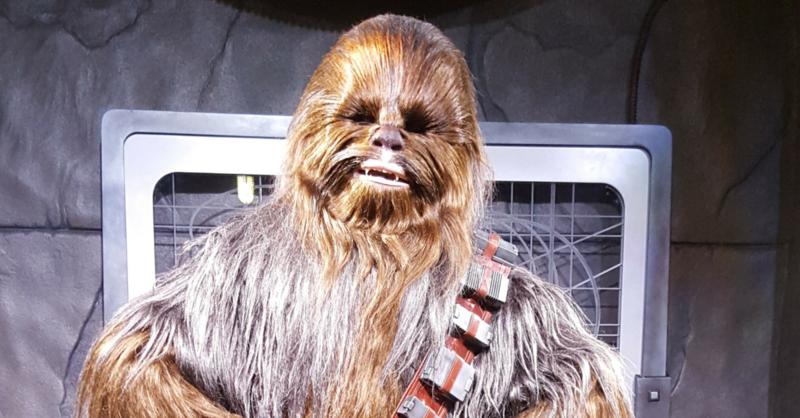 The experience will feature special exhibits, visits with new and favorite Star Wars™ characters, and specialty food and merchandise offerings. Star Wars™ Launch Bay will be located in Tomorrowland® at Disneyland® Park and inside the Animation Courtyard at Disney’s Hollywood Studios®. 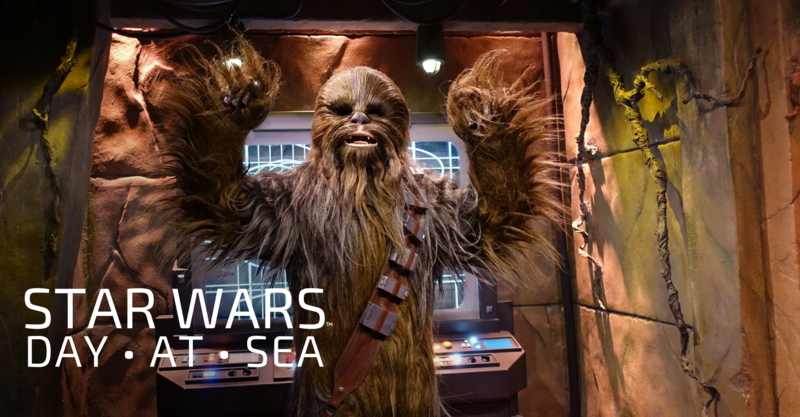 Season of the Force – Inspired by the success of Star Wars™ Weekends, Season of the Force will be a new season event, beginning early 2016, bringing more intergalactic fun into Disneyland® Park and Disney’s Hollywood Studios®. At Disneyland® Park, Space Mountain® will be reimagined into Hyperspace Mountain. Over at Disney’s Hollywood Studios®, they will feature a new fireworks spectacular on weekend nights set to the iconic scores of Star Wars™ movies. Much more fun is in the works as well. We’ll bring you more information as it becomes available on all these out-of-this-universe announcements! Disney Cruise Line has announced that some magical transformations are coming this fall on the Disney Dream! Included in these changes are two new interactive youth areas, the debut of the ever-popular Bibbidi Bobbidi Boutique, a whimsical sweet shop, and a new adult-only area. Disney’s Oceaneer Club – Kids ages 3 to 12 will receive two new areas inside Disney’s Oceaneer Club. The first, a Star Wars™ themed area, is guaranteed to provide an out-of-this-galaxy experience! Inside the Millennium Falcon, younglings can join the Rebel Alliance as well as participate in Star Wars™-themed crafts, games, and activities. 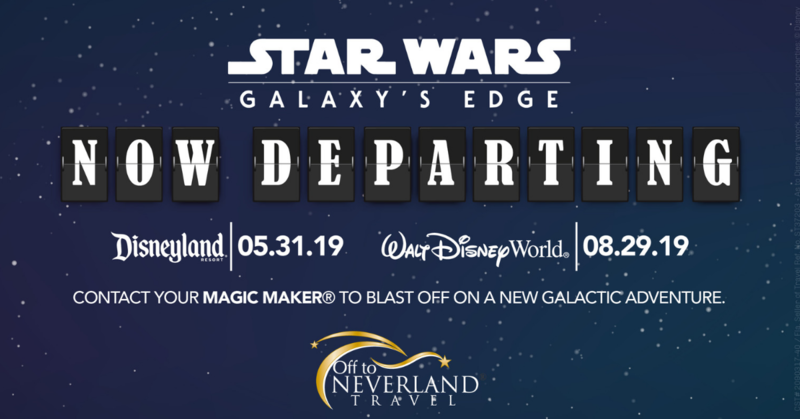 Also, Padawans will get their chance to brush up on their lightsaber moves with a new shipboard version of the Jedi Training Academy before facing off against Darth Vader. The second new area will be a high-tech Disney Infinity space allowing kids to play together with exciting virtual experiences. 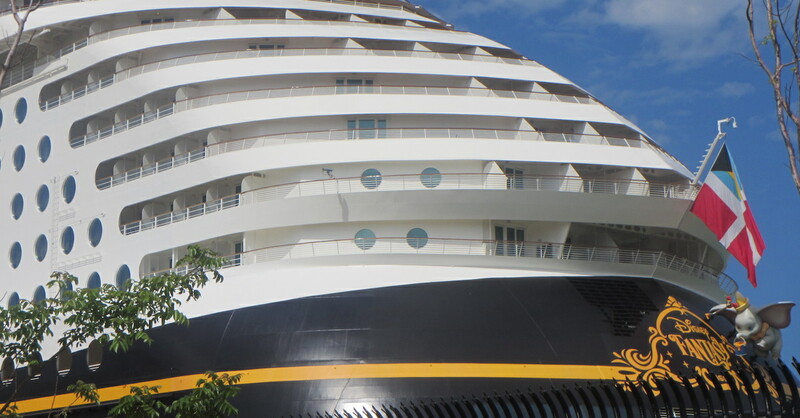 But the fun doesn’t stop onboard – kids who visit this room will be able to unlock exclusive Disney Cruise Line content on their Disney Infinity system once they get home. Vanellope’s Sweets & Treats – Up on Deck 11, a new specialty sweets shop will open themed after the whimsical candy land of Sugar Rush in “Wreck-It Ralph.” Inside, guests will be able to purchase handmade gelato and ice cream served in freshly based waffle cones, an assortment of candy, and a great selection of novelty treats. Bibbidi Bobbidi Boutique – Deck 5 of the Disney Dream will soon host one of Disney Destinations most popular locations, Bibbidi Bobbidi Boutique. Princesses and Knights ages 3 to 12 can make appointments to receive a royal makeover with the help of some special fairy godmothers-in-training. And on the night of the Pirate Party, the boutique becomes The Pirates League where special pirate makeovers are available for all ages. Satellite Falls – Up on Deck 13, the adults-only section of the ship will expand to include Satellite Falls, a circular splash pool with benches and a gently falling rain curtain. 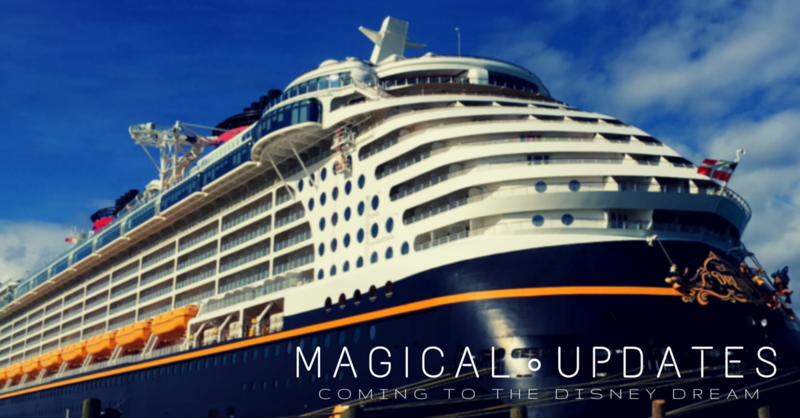 All of these enhancements will debut on the Oct. 26th sailing of the Disney Dream! Disney Cruise Line has released itineraries through Summer of 2016, so start planning your dream vacation today! The Walt Disney World® Resort has announced that Star Wars™ Weekends will return May 15–Jun. 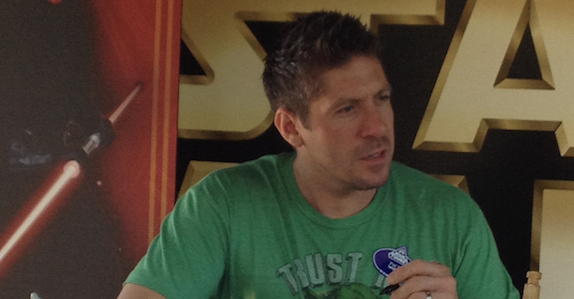 14, 2015. Taking place Friday – Sunday at Disney’s Hollywood Studios®, the popular event celebrates the entire Star Wars™ franchise. The event runs every Friday, Saturday and Sunday from May 15-June 14, 2015 and requires regular theme park admission. 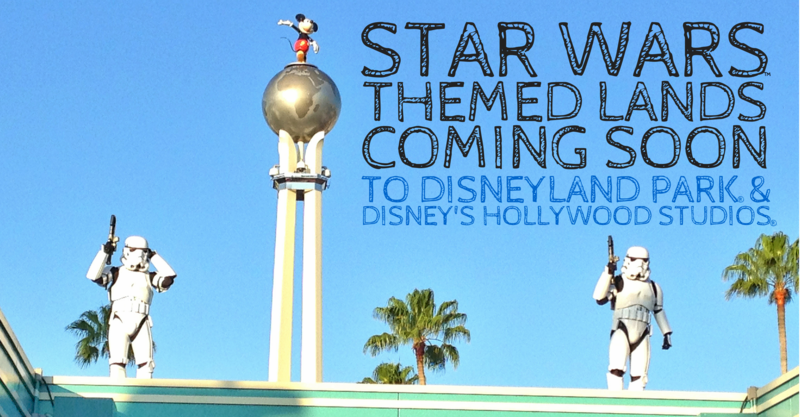 Contact your Magic Maker® today to start planning your Star Wars™ Weekends trip to a galaxy far, far away! Two out-of-this-world dining experiences will be returning to Disney’s Hollywood Studios®! Walt Disney World® Resort has announced the two Star Wars™-themed character dining experiences will once again be available at the 2015 Star Wars™ Weekends. Details of these new offers are below. Availability is sure to go quickly, so contact your Magic Maker® today to reserve yours! Note: Option to add Fantasmic! Dinner package is limited! Yesterday, The Walt Disney Company announced its agreement to acquire Lucasfilm Ltd., the company owned by George Lucas that is known for Star Wars and Indiana Jones. Under the deal, Disney will acquire ownership of Lucasfilm, a leader in entertainment, innovation and technology, and LucasArts, Industrial Light & Magic, and Skywalker Sound – operating businesses in live action film production, consumer products, animation, visual effects, and audio post production. 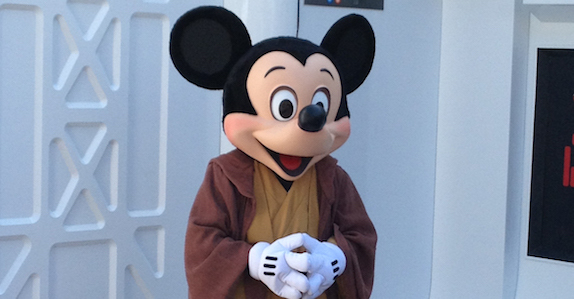 The Walt Disney Company and Lucasfilm have had a long-standing relationship that had previously integrated Star Wars into the Walt Disney World® Resort, the Disneyland® Resort, Disneyland® Paris, and Tokyo Disney® Resort. 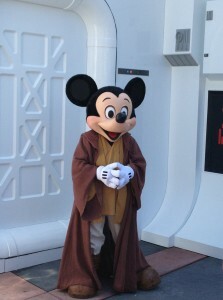 This acquisition will not only increase the presence of Star Wars within the Disney Parks, but The Walt Disney Company has already announced the making of Star Wars Episode 7 in which George Lucas will serve as creative consultant. Star Wars Episode 7 is targeted for release in 2015, with more feature films expected to continue the Star Wars saga and grow the franchise well into the future.